Put your ear against the trunk. 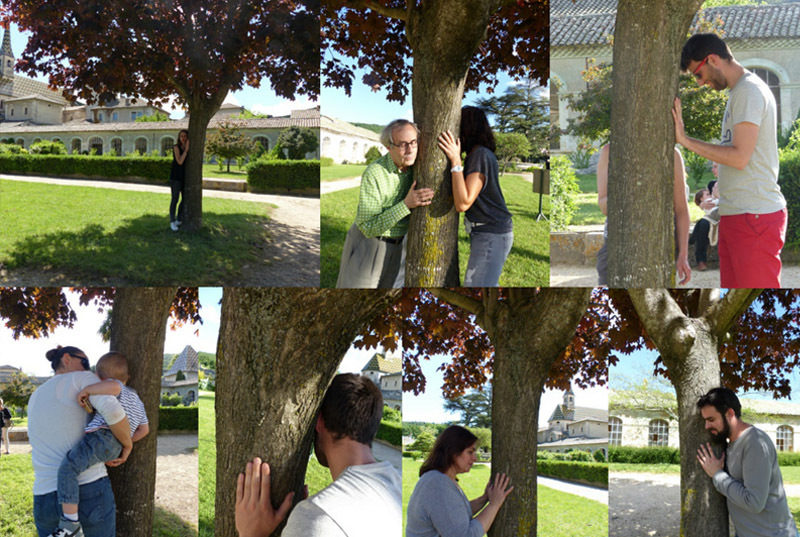 Pulsation is a sound installation artwork with a living tree. 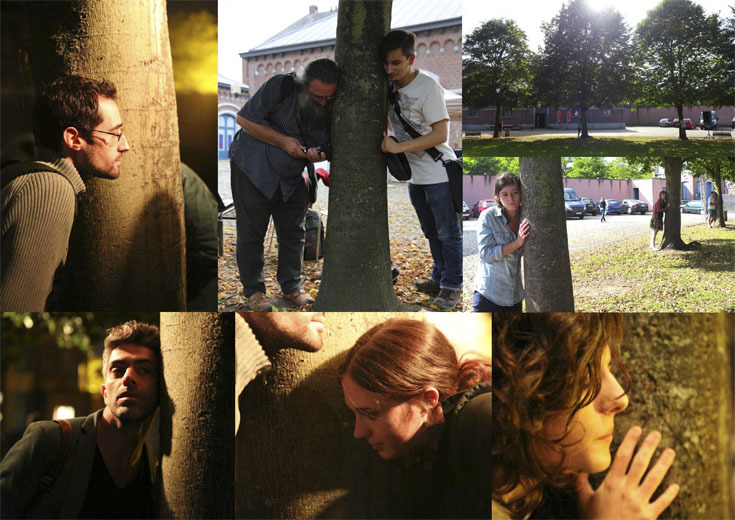 In contact with the trunk, spectators can hear and feel heartbeat’s sounds and vibrations. With its roots and its high branches, the tree is a kind of link between earth and sky. The tree is a symbol of the body too, through its cover and its flesh. It is like a mirror of the body. The spectator hears and feels the sonorous vibrations when he puts his ear or his body against the trunk. The entire tree is in resonance with a human heartbeat. This sound generates sensory relationships between the tree and the body.